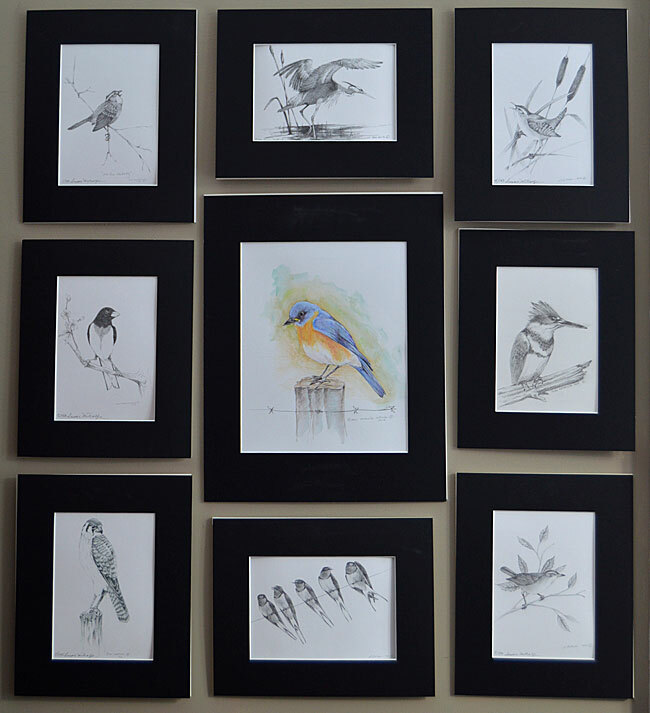 Susan Metcalfe is an artist who has been drawing most of her life. Her favorite subjects are horses and birds. She has also been commissioned to draw subjects such as people’s pets. During her childhood summers, she lived at Meadowbrook Farm with her grandparents. Here, she developed a lifelong interest in the natural world as seen through the eyes of her grandmother, who taught her to recognize different bird species. Living full-time at her beloved Meadowbrook Farm now, Susan has acquired a substantial life list of birds. She has drawn dozens of them, and is able now to share them with you. Each original or print comes on acid-free quality paper with acid-free matting in a clear sleeve.